Yoshi’s Island on the Super Nintendo is arguably the greatest platformer of all time; indeed, nowhere else has Miyamoto’s absolute mastery of game design been as evident as it was in Yoshi’s Island. With a distinct visual flavor, memorable soundtrack, and some pitch perfect game design, Yoshi’s Island truly stands as one of the all time greats to this day. It’s Yoshi’s Island’s greatness that makes the rest of the series’ tragedy so stark- Nintendo has since then attempted to follow up the game multiple times, always to mixed results- Yoshi’s Story on the Nintendo 64 and Yoshi’s Island DS were both average at best, but their mediocrity stood out strongly next to the standard they were being compared to, and made them look worse than they were. Even Nintendo’s attempts to port Yoshi’s Island haven’t been very successful- Yoshi’s Island was made available on the Gameboy Advance, in a version that was decidedly worse than the SNES original (and even worse when it was made available on the 3DS Virtual Console years later). At this point, then, any Yoshi fan should be well used to thoroughly average platformers at best with every entry, unremarkable in every way except for in how spectacularly they fail to live up to the SNES game. But at the same time, when one gets a game that is so underwhelming and all around average as Yoshi’s New Island for the Nintendo 3DS is, it just hurts. It just hurts. "Yoshi's New Island for the Nintendo 3DS is so average, it just hurts." The good news here is that the game will be immediately familiar to anyone who has played Yoshi’s Island, down to the controls. Yoshi’s repertoire of moves hasn’t exactly grown or changed much in the 19 years since his first outing- you’re still going to be gobbling up enemies, jump and flutter to prolong those jumps, and throw eggs at your adversaries to clear the path for you as you carry Baby Mario to his destination, and try to rescue Baby Luigi. It’s pretty much the exact same thing as before, so you should be able to settle into the groove soon enough. The mechanics of the original Yoshi’s Island were, of course, great, so it might not be clear why having more of them is a bad thing, especially considering how well they hold up anyway. And that’s the thing, the mechanics were great- when they were paired with that excellent level design that the original Yoshi’s Island is known for having. In a game that plays it as safe as Yoshi’s New Island does with its game design, they are thoroughly boring and unimpressive (a problem exacerbated by the fact that we have seen these at play at least two other times in similar games already- if they had at least been new, they would stand out on their own merit and sort of cover for the game’s weak overall design). Of course, this might make it seem like Yoshi’s New Island is a carbon copy of the original mechanically, and that it has nothing new to offer. That is, in fact, false- Yoshi’s New Island does bring new stuff to the table. The trouble is, it’s so uniformly terrible or constrained that I wish it didn’t. "Shockingly, this Yoshi game begins to feel like a low budget iOS knock off during these sections. The sequel to the mighty Yoshi's Island has been reduced to this." Consider, for example, the ‘vehicle’ sections. You remember these from the original game, right? You transform into a hot air balloon, or a minecart, and navigate the environment that way. That was fun, right? Well, Yoshi’s New Island decides to switch things up- don’t get excited. It does so by forcing you to use the 3DS’s gyroscope for these portions. You are not given a choice. You have to use the motion controls to navigate. And while using the 3DS’s gyroscope is hardly a crime (some games, such as Ocarina of Time 3D, Super Mario 3D Land, and Face Raiders actually use it amazingly well), using it in sequences which require precision is inexcusable. It’s a detriment to game design- shockingly, this Yoshi game begins to feel like a low budget iOS knock off during these sections. The sequel to the mighty Yoshi’s Island has been reduced to this. The one good thing I have to say about these sections is that there aren’t a whole lot of them, so on the whole, the game still sticks with its mechanically sound but unremarkable tried and tested mechanics. But while this works to the game’s benefit with the gyroscopic sections, it actually constrains a new mechanic that probably would have developed into something genuinely interesting if the game had not artificially limited it by only having it show up far and few times in between and let it gestate. I am talking about the Big Egg mechanic- you can eat larger enemies, and create larger eggs, either regular or metal. 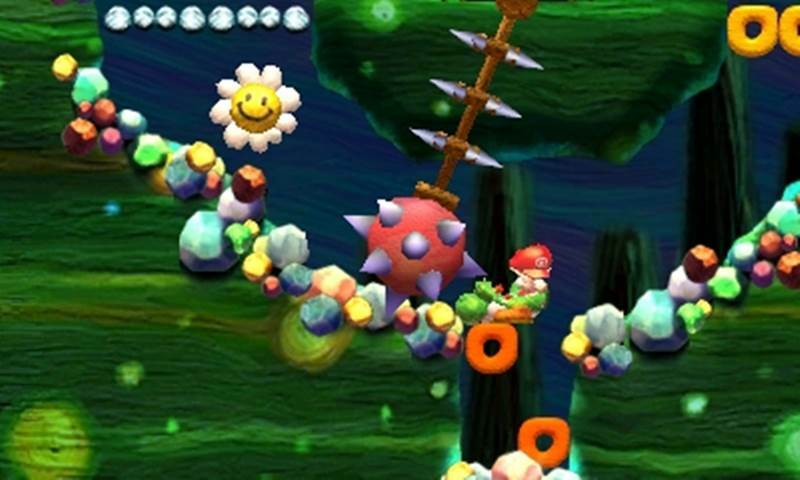 You can then use these eggs to smash open new pathways in the environment, which adds a new wrinkle to the gameplay, and opens the potential for you to revisit older levels and find new secrets… except it doesn’t, because the large egg enemies only show up at predetermined locations in the game, so you always know there is a secret hiding somewhere close by when they do. What a waste of potential. "The good news is, the game looks surprisingly great, especially in motion. It is also helped and enhanced visually by the 3D effect"
The levels themselves are standard- from my criticism throughout the review, you might be tempted to think that they are bad, but they are not. They’re not bad at all. They’re just not good either. They just are. They’re pretty inoffensive in their existence, and that in itself is the most obnoxious thing about them- the fact that they are so safe and as a result unexciting. The levels are what let this game down so much- mechanically, it is largely sound, except for when it ironically tries to deviate from the standard too much. 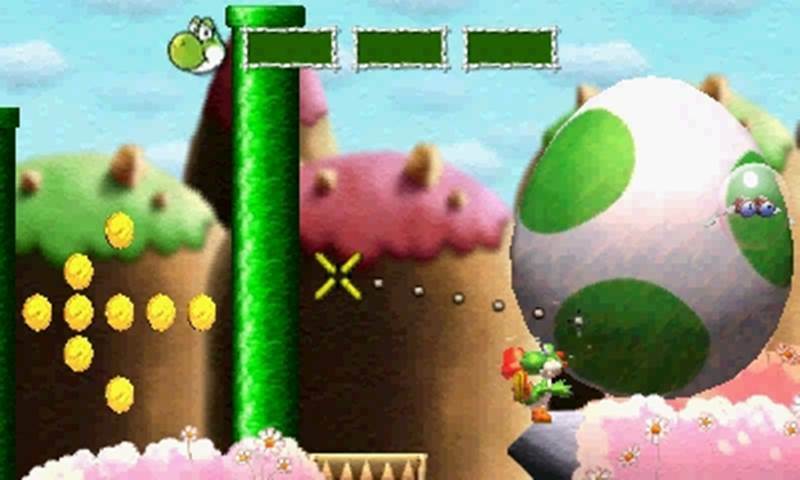 If the levels had been as bold and daring as they had been in the original Yoshi, New Island would have in fact been a much better game. The elephant in the room here is the graphics- Yoshi’s Island was a beautiful game, and the subsequent sequels absolutely butchered the look. A lot of people groaned at the plasticky look of New Island back when it was unveiled, but the good news is, the game looks surprisingly great, especially in motion. It is also helped and enhanced visually by the 3D effect- it doesn’t use it to any great degree at all, but it’s a nice visual touch that makes the graphics look nicer. This, then, is the issue- Yoshi’s New Island feels like an attempt to recreate Yoshi’s Island, but missing the point entirely. It’s as if someone tried to bring a dismembered person back to life by painstakingly reassembling their body- you’d have mimicked the frame entirely, but you’d be lacking the essence, the soul, entirely. 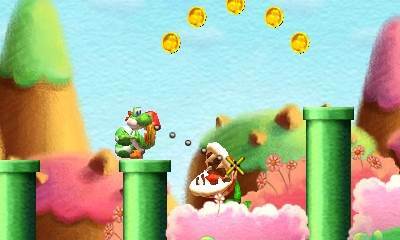 That’s what Yoshi’s New Island is- a game that feels like Yoshi’s Island without the soul. It almost represents some sort of alternate universe reality, where Miyamoto made the game with some good mechanics and nice visual style, but failed to back it up with good, well thought out, daring game design. 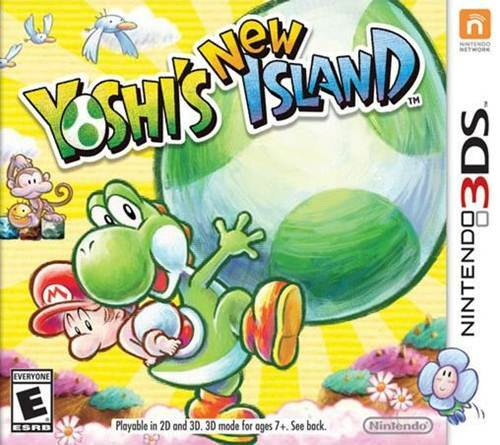 Yoshi’s New island is certainly not a bad game, and if you are a series fan, it is even worth checking out sometime. If you have kids, it is also perhaps a great way to introduce them to some good 2D platforming (especially given how hard it is to play the original Yoshi’s Island legally these days). It’s just not a very good game either- it just… is. 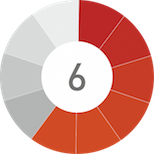 Completely safe, completely inoffensive, just content to exist without trying to stand out much either way. Yoshi's New island is certainly not a bad game. It's just not a very good game either- it just... is. Completely safe, completely inoffensive, just content to exist without trying to stand out much either way.